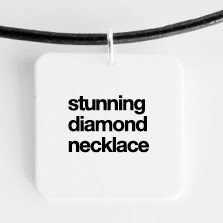 With Valentine's Day coming right up, here's something that might qualify as a relationship barometer - give her one of these Wishlist Necklaces and gauge her response. If she laughs and loves you anyway, it's all good - if you're sleeping on the couch that night, well, not so much. Besides being good for a chuckle, these could be seen as making statements to the outside world ("I reject the useless materialism of expensive little stones") or to your loved one ("I can't afford it now, but I'll get you one someday"). A lot of interesting uses for a funny little card on a rope! Choosing a new mobile phone is a tricky and dangerous decision - you usually have to make a choice after little or no time hands-on with the thing, based mostly on price and industrial-design sexiness, and then you might be stuck with a dud of a user interface for the next two years. There's a reason why we test drive cars, not just walk around and look at them before plunking down the cash! 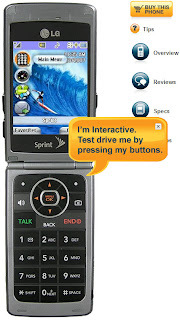 Well, TryPhone is setting out to enable people to test-drive phones for exactly this reason. There are only 4 phones on the site so far, but it's better than nothing - and seeing this kind off attention to user interface is very encouraging! Has reading this blog inspired you to hate bad design? (If not, go back and read more until you do.) Well, now you can call out the bad stuff as you see it - Design Police has some do-it-yourself print-out stickers to, well, stick it to anything atrocious you see out there. The templates mostly have to do with graphic design, but many of the same principles apply to general product design and usability. Go to Walmart, Best Buy, whatever, and go nuts on the product displays! It'll feel good, I promise; it's kinda why I started this blog in the first place. Smart Poker Table - I need this. Badly. -Keep track of whose turn it is to bet, and how much. It's waaay too easy to lose track of that stuff in a social poker game! -Instantly count the amount of all-in bets in no-limit poker; it can take agonizingly long to determine who's putting who all in otherwise. 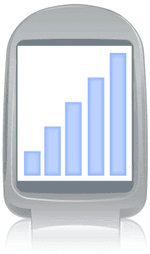 -Indicate who leads the betting in a stud game, based on highest showing cards. -For God's sake, show who didn't ante when there's only one missing from the pot! -And just to top it all off, voice recognition of what game the dealer just called, so the table can track it all properly. There are plenty of horrifically difficult design problems out there to be solved, but precious few that are purely fun. This is one of those - so someone, get it on the market! 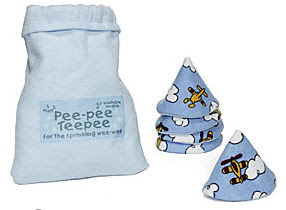 Sent in by friend and frequent commenter Pete Kazanjy, the Pee-Pee Teepee certainly seems like a worthy enough product. As the product description notes, "Why is it that the act of diaper changing always seems to inspire an extra 'contribution' from the little one?" While I haven't witnessed this firsthand, the mere thought is enough to make me a customer when I have tykes of my own - or at least improvise something equivalent. A bonus: any teepee the little guy doesn't sprinkle can be used again and again, until it, uh, "takes the bullet" for ya. In centuries of diaper changing, it's amazing that this product has only recently been conceived - proof that there's always room out there for more innovation! Many products succeed by discovering a niche where there's a demand but no product satisfying it; then there are those that fail by inventing a niche where there's no demand but trying to cram a product into it anyway. 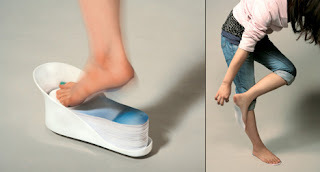 This seems like the latter: disposable soles, by designer Jun-Soo Choi on Yanko Design (and via Gizmodo). It seems like these deftly dodge any kind of advantage you might try to pin on them - they ruin the clean, free feeling of being barefoot by plastering some adhesive to your sole. They don't provide the comfort and coziness of slippers. They're pretty wasteful, which is sure to offend the environmentalist set that probably overlaps significantly with the barefoot demographic. Am I missing anything...? Remote health monitors make a lot of sense for patients who definitely need it, like those recovering from surgery or suffering from a monitoring-intensive malady - but I'm hoping they'll start to edge into general use among the healthy, helping with the early detection of problems. These devices collect health information from a patient at home and transmit it back to a monitoring physician for analysis; fancier ones also deliver info from the doctor the patient, such as advice or warnings based on the data. The opportunity for good usability design is, arguably, in what ways the monitor collects its info from the user - and many are pretty slick (even sneaky!) about it, collecting weight from a Bluetooth-enabled scale without the user having to do anything extra, or receiving a wireless broadcast from an insulin pump every so often. Rather than the patient having to remember these kinds of things and deliver a vague report during checkups ("I think I take this pill two or three times a week"), the doctor has all the hard numbers right there, up to date and ready to go. Systems like this already monitor fancier cars and alert dealers to call the owners to set up maintenance appointments; it only makes sense that we should do the same for our bodies! 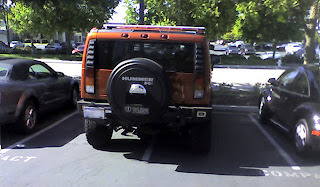 Hummer Parking - Which way's worse? CON: The same thing can be done with an ordinary comb! No need to buy something new. PRO: Unlike the comb, this product will actually be used when owned by those who need it, especially when they keep it with the hammer to remind them. SUGGESTION: Design this thing to clip on to the hammer itself. 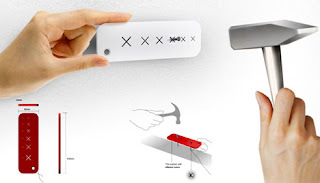 That way the hammer can't even be used before the Nail Cushion is removed, which ensures that it won't be forgotten! Fake Blinds - But do they make you feel better? Sunlight has been shown to improve emotional health, but windowless rooms and offices are a reality of life. 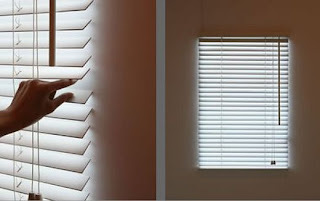 So this concept just may have some merit - the Bright Blind by Studio Mongoose, fake blinds which attach to a windowless wall and create the illusion of sunlight creeping in. 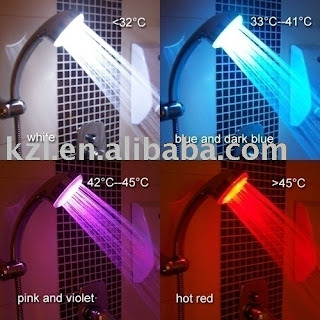 It's accomplished by electroluminescent sheets on the back of each individual blind - and the brightness is even controlled in the usual way, by rotating the blind-angle rod. It's a pretty impressive illusion from the photos, but the merit of the product should hinge on its ability to boost a user's emotional state, prevent seasonal affective disorder, and all that stuff. Otherwise it's a mere novelty, a conversation lighting piece - but still, a pretty slick one! 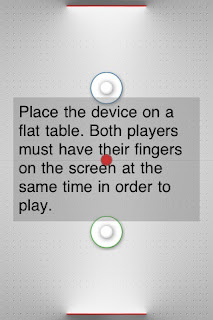 iPhone Air Hockey - Best use of multitouch yet! There are plenty of products which help people monitor their health - heart-rate monitors, blood pressure monitors, glucose meters for diabetics, and of course a whole suite of sensors for patients in hospitals. But nothing, so far, which checks your emotional state - well, unless you count mood rings. 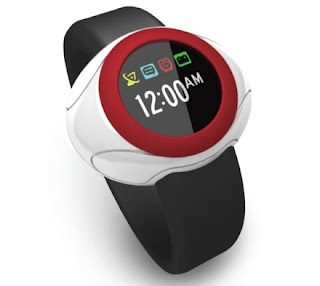 In any case, here's an emotion-monitoring watch expected soon from Exmocare (via Engadget), which uses a combination of heart rate and variability, movement, and galvanic skin response to nail down (or at least take a wild stab at) how you're feeling. They envision it as being used primarily by the elderly, and the watch will notify family or caretakers via SMS if anything strays from the norm. But I can certainly envision this being used by individuals to keep a check on their own emotional state - sometimes we just don't know how we feel, right? 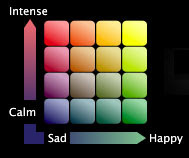 And imagine the implications of having an emotiononometer (?) linked to your social-networking profiles or IM icon - not only would people see your online/offline state, but also your state of mind. It could be a great way to reach out to friends when they really need it! "It folds into a large portfolio style case with handles, so it's quite easy to move your 'hub' with you. You have to provide two pieces of plywood, which slip into two pockets to create the rigid surfaces. The [hanging] rings are 48" apart so they line up with any standard 16" O.C. 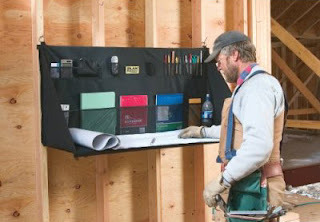 wall stud system. ... The ability to adjust the height is key, [and] there are no legs to deal with." Products intended for a wide range of users and uses often suffer from attempting too much versatility - it's tough to be everything to everyone. But something which is this focused on being exactly the right thing for one specific use and user stands a pretty good chance of doing it! From BusinessEdge (and via Gizmodo and The Raw Feed), Australian researchers are working on computerizing yet another part of life: your closet! 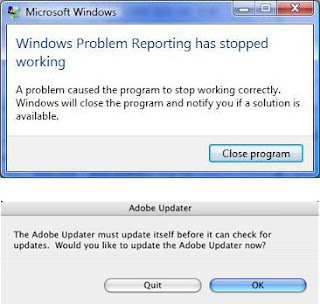 Sounds geeky, but the use-and-usability implications are pretty impressive. 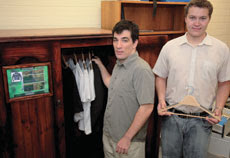 Assuming the closet can recognize each piece of clothing (using RFID, image recognition, or whatever), it can advise on matching various items with each other, the appropriateness of a selection for the level of dressiness of an event, when each item is due for cleaning, even whether you've worn the same thing the last time you went to a particular event. Extrapolating a bit, it's easy to envision a web-connected version advising on fashion trends ("that shirt is OUT, get rid of it"), helping buy new clothes that match well with your existing items, or even checking with friends' closets to make sure you don't wear the same thing as your buddy to the same shindig. The best part? 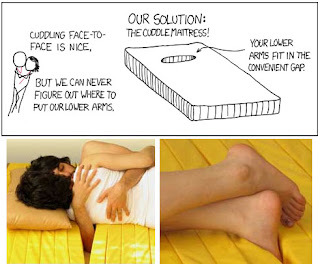 The fact that this product is aimed squarely at geeks, who are most in need of all the advice it's designed to dispense. Talk about a match! Level Indicators - Accuracy or perceived quality? Huh. Well, if there's an opportunity to increase a product's perceived quality at zero additional monetary cost, the producers of that product will probably take it. However, the real cost is misleading the user - anyone who's really counting on these indicators might find himself in a bad situation. ("But it was at 100% an hour ago, how can it be dead now??") And going too far with this kind of miscalibration will break the illusion when the user realizes it can't be trusted, making the product seem lower quality. So it's a tricky balance - and one that, to be safe, we should always assume is going on behind the scenes.